Every year for our Imbibe 75 Issue, we like to take stock of the amazing drinkscape and shine a light on some of the people we think will help shape our world in compelling ways. This year’s list of game changers is more fascinating than ever, featuring brewers, bartenders, winemakers, beer ambassadors, coffee innovators and more. Included in this list are a few people doing work we think is especially noteworthy. 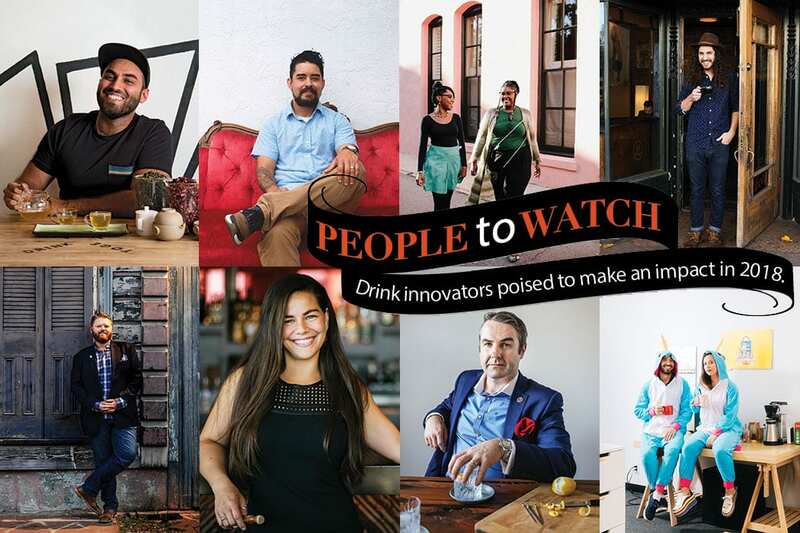 Below are our People of the Year in coffee, beer, wine and cocktails, and for the full list of our People to Watch for 2018, pick up a copy of the print edition in our online shop. 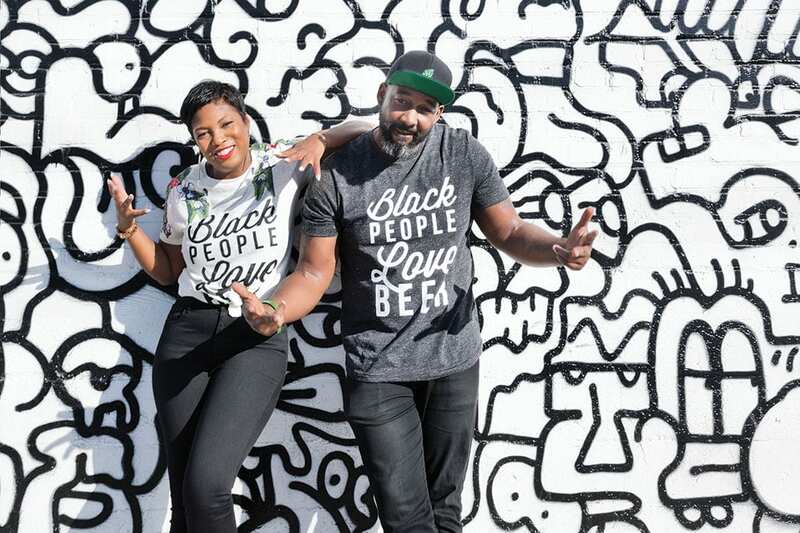 Dope & Dank founders Beny Ashburn and Teo Hunter. | Photo by Dylan and Jeni. 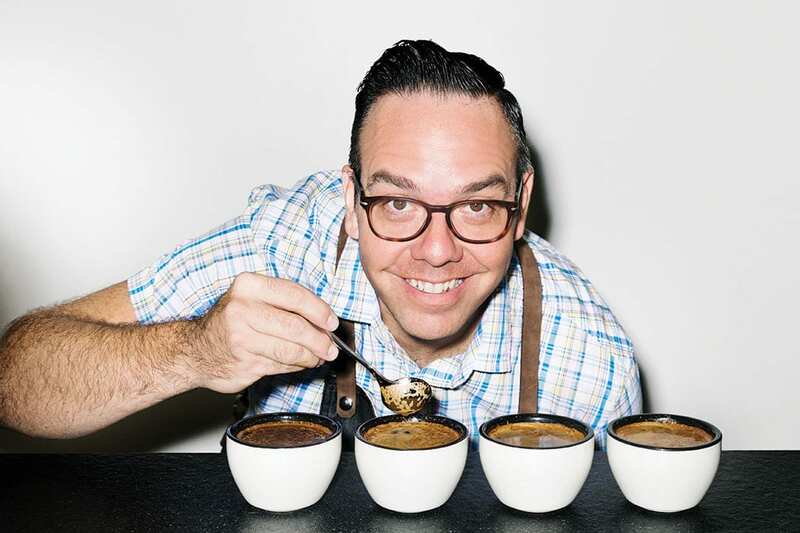 Portola Coffee founder Jeff Duggan. | Photo by Dylan and Jeni. 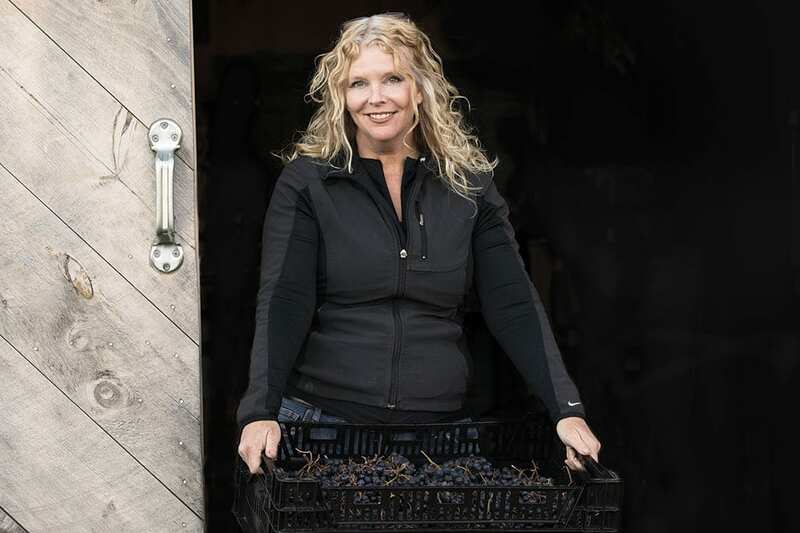 Deirdre Heekin grows grapes at vineyard and orchard La Garagista. | Photo by Greta Rybus. In 2007, when Deirdre Heekin decided to dive headlong into making wine from 100 hybrid grapevines that she and husband Caleb Barber planted at their home in Barnard, Vermont, the project was the vinous equivalent of planting a vineyard in Whoville. But Heekin isn’t afraid to shout the virtues of grapes like Frontenac, St. Croix, La Crescent and Marquette from the mountaintops of the Green Mountain State. And the head-turning clarity and beauty of her bottlings are making more than a few somms say hello to hybrids. The experience of drinking Heekin’s wines on her land is nothing less than vibrantly visceral. All around are the wild plants of the region that Heekin and Barber encourage—you smell them in the air and taste them in the wines. Her pet-nat style Brianna, “Ci Confonde,” is rife with notes of dandelion root, chamomile, lovage and the wildflowers that grow between the rows of vines. Houston bartender Alex Negranza manages Better Luck Tomorrow. | Photo by Max Kelly. Regardless of the challenge, Alex Negranza steps up. Make the move at age 18 from his hometown of Modesto, California, to coffee-centric Seattle with $300 in his pocket and aims of being a professional barista? 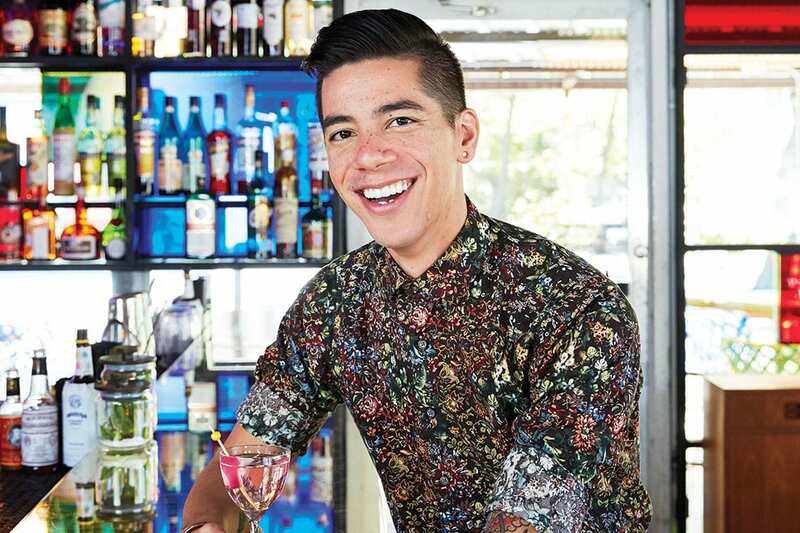 Spend his first-ever bartending shift shaking drinks in an unfamiliar cocktail bar for an event crowd of 350? Relocate to Houston to take a job at that same bar, Anvil, which was garnering a reputation as one of the world’s best? And leave that dream job to step into another unfamiliar role—that of bar manager at Better Luck Tomorrow, which opened last May? Done, done, done and done.